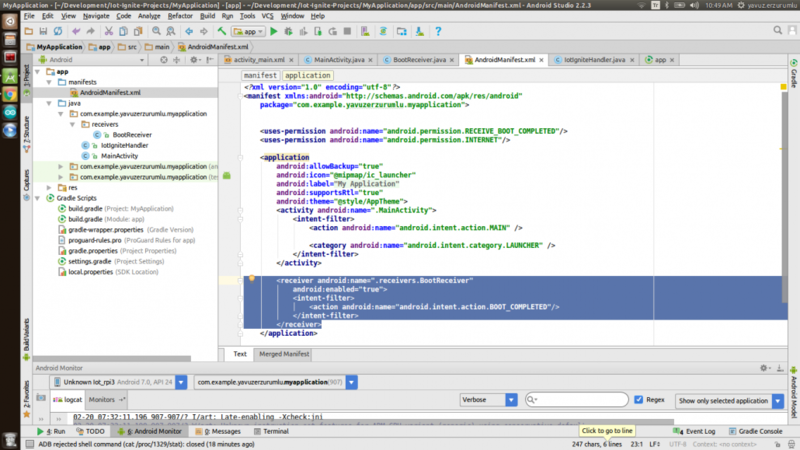 In this tutorial, you will learn how to start an IoT-Ignite Android Things application on boot. Normally in Android Things, if you want to start your application on top you have to add the following line to your main activity’s intent filter. 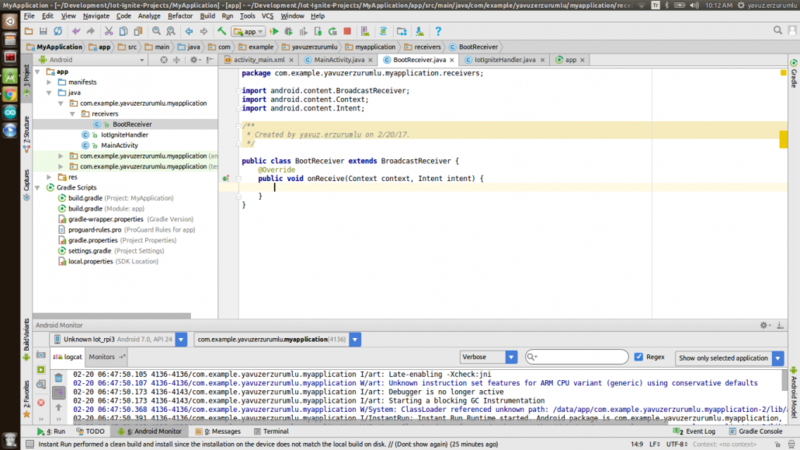 If you want to learn more about IOT_LAUNCHER, we advise you to read Create an Android Things Project article. 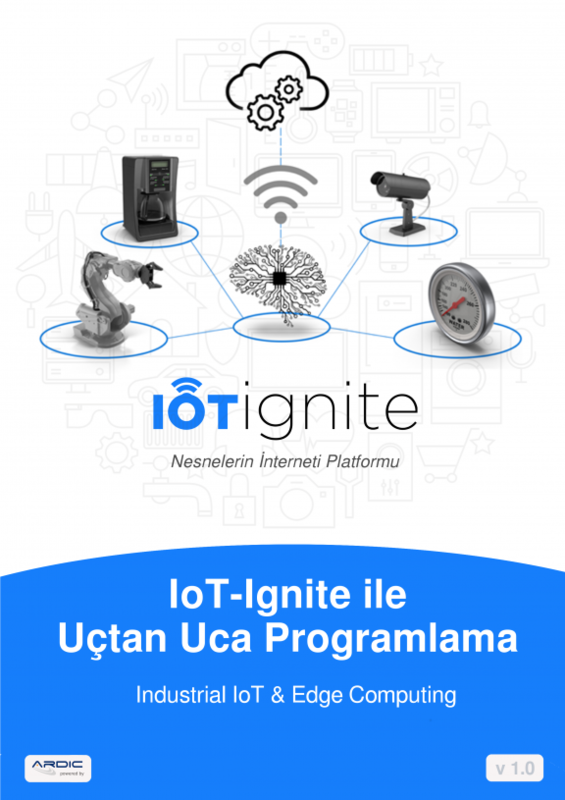 IoT-Ignite Agent application is set as IOT_LAUNCHER, so, you do not have to add this to your application. When there is more than one application added as IOT_LAUNCHER, on boot up you have to choose one of them. To start your application on boot, we will write a boot receiver and start our activity into it. Create a class named BootReceiver. Start your MainActivity from the receiver. Add this code to your receiver’s onReceive() function. 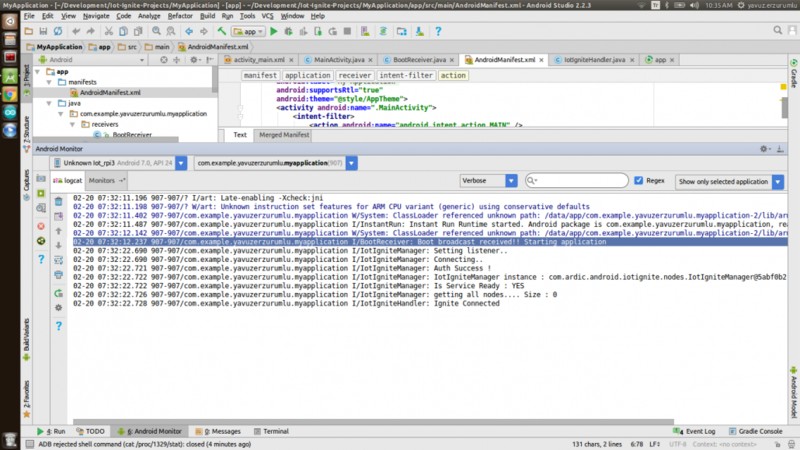 Add boot receive permission to Android Manifest. 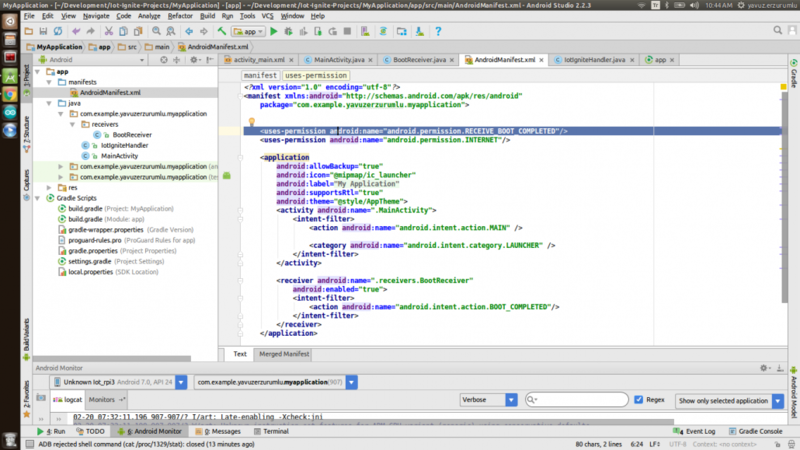 Add previously created BootReceiver.class to Android Manifest’s receiver. 02-20 07:32:11.487 907-907/com.example.yavuzerzurumlu.myapplication I/InstantRun: Instant Run Runtime started. 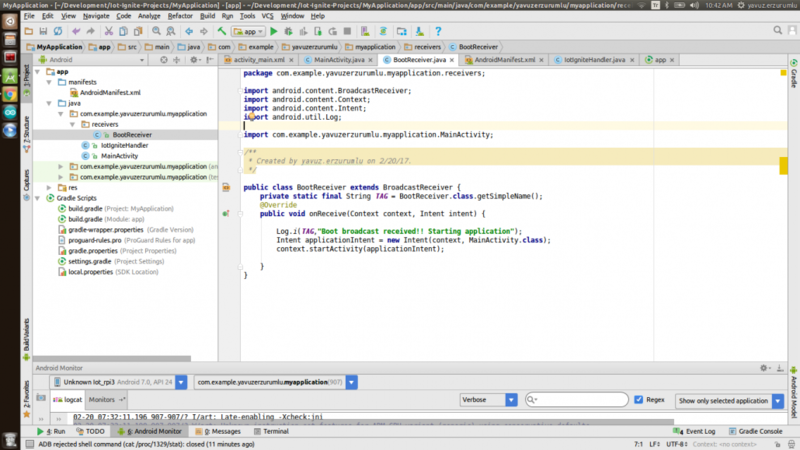 Android package is com.example.yavuzerzurumlu.myapplication, real application class is null. 02-20 07:32:22.690 907-907/com.example.yavuzerzurumlu.myapplication I/IotIgniteManager: Setting listener..
02-20 07:32:22.690 907-907/com.example.yavuzerzurumlu.myapplication I/IotIgniteManager: Connecting..
02-20 07:32:22.721 907-907/com.example.yavuzerzurumlu.myapplication I/IotIgniteManager: Auth Success !